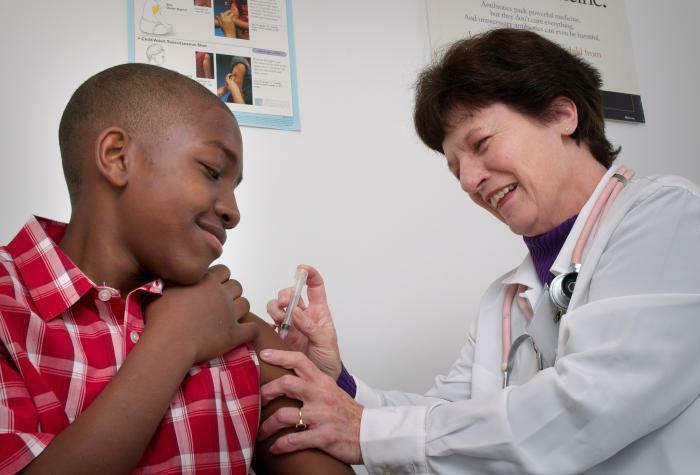 The U.S. Food and Drug Administration has approved the expanded use of Adacel® (Tetanus Toxoid, Reduced Diphtheria Toxoid and Acellular Pertussis (Tdap) Vaccine Adsorbed) to include repeat vaccination to help protect against tetanus, diphtheria and pertussis. It is now the first and only Tdap vaccine in the U.S. approved for a repeat dose in people 10 through 64 years of age 8 years or more after the first vaccination. Adacel is also the only Tdap vaccine available in a syringe made without natural rubber latex, which may help reduce risk to patients with an allergy. The FDA licensure was based on clinical data from a study of the safety and effectiveness of repeat Adacel vaccination in adults. In the study of more than 1,300 adults (aged 18 through 64 years), participants received either Adacel vaccine or a tetanus-diphtheria (Td) vaccine 8-12 years after a previous dose of Adacel vaccine. The results of the study published in the Journal of the Pediatric Infectious Diseases Society showed a second dose of Adacel vaccine in adults administered 8-12 years after a previous dose found no significant differences in adverse events between vaccine groups. A total of 87.7% of Tdap vaccine recipients (n=999) and 88.0% of Td vaccine recipients (n=328) reported at least 1 injection-site reaction. Sanofi Pasteur has provided the results of the study to the CDC’s Advisory Committee on Immunization Practices for their consideration in future recommendations. The U.S. Centers for Disease Control and Prevention (CDC) currently recommends a single dose of Tdap vaccine for adolescents and adults, and for pregnant women during every pregnancy. Tdap helps protect adolescents and adults and may prevent the spread of the infection to babies and young children who are still building immunity. Despite the CDC-recommendation, nearly three of four adults have not received the Tdap vaccine.